Certified nursing assistants are the professionals who provide health care to the patients and fulfill their medical needs under the supervision of a registered nurse (RN) or a licensed practical nurse (LPN). CNA is known by different names, such as State Tested Nurse Aides (STNA), Patient Care Assistant (PCA), Nurse Aides (NA), and Nurse Orderlies (NO). A CNA assists the patients in bathing, dressing, and other day-to-day activities. Other work such as measuring the patient’s blood pressure, temperature, weight, health, height, cleaning rooms and bed lines, proper feeding, taking a record of patient’s health and issues related to it, etc., also come under the responsibilities of a CNA. If you aim to choose a career in nursing or medical field, CNA is a good way to start. A CNA gets opportunities to work with many professionals of the health care industry such as occupational therapists, doctors, nurses, med-tech, etc. Nursing assistants have high chances of getting promoted and moving up in their career. It is also relatively easy for a nursing assistant to get the knowledge and education to become a registered nurse. For career advancement, a CNA can opt for an associate or a bachelor’s degree program and get qualified for a better post in the medical industry. They can pursue higher education online while continuing their job. The turnover of a CNA is very high as after getting a higher education, they can move to the next level of the hierarchy. Plus, there is always a requirement of nurse aides in the institutes which provide care to elderly and disabled people. So, that could be a backup after they are done with their regular jobs. The very first requirement to be a nursing assistant is that you must hold a valid high school diploma or GED. Though it is not necessary to be a graduate to be eligible for a CNA course, it is an added advantage if you hold a bachelor’s degree, and there are more chances of getting higher salary too. Work experience is not generally required, but again, it is an added advantage. How to become a Nursing Aide? The first stage that you have to cross for becoming a nursing assistant is an admission to an NA program or formal program. There are different criteria and regulations for every state, and an aspirant must check it with the local authorities and Accreditation Commission for Education in Nursing (ACEN), before enrolling for the course. The courses usually last for 4-16 weeks, which totally depends on the institute. Now after the first stage, you have to qualify the test designed for nursing assistants. Although, if you are a graduate, you can work for a maximum of 4 months without the certificate (while waiting for the examination). But, to be fully certified, you have to pass the examination which includes both practical and clinical components. Some states have additional detailed requirements too like passing the background check and fulfilling a certain number of continuing educational credits yearly. Once you have cleared both the stages, you can apply for the job and make sure that you practice under the guidance of a licensed nurse as it is illegal to practice as independent providers. You can find numerous job opportunities for the nursing assistants in the industry as the jobs for the described profile are increasing faster than the national average for growth rate. Some of the states make it compulsory for the CNAs to accomplish a certain number of educational credits every year to maintain their qualifications. These are provided by many educational providers and healthcare facilities. To check or inquire about this rule in your state, an aspirant must visit the respective state government board. The aspirants must go through the program program. Many nursing homes such as American Red Cross offer in-class program. Program is also offered by tech colleges, some medical schools, local health care providers, etc. You need to obtain a certificate and pass a competency exam to become a certified nursing assistant. There are certain institutes that offer online and correspondence courses which are good to increase the basic knowledge of the students and to get certified but, you have to be very careful while choosing these courses as many of them are not approved by some of the states. Even if you are choosing in-class courses, it is vital to know that the state board of nursing approves that course because unapproved courses do no good for you and your career. Along with these, there are certain other aspects that you need to check before enrolling for CNA class. Make sure that the course covers all the subjects and provides you with all the relevant information and knowledge about the health-care industry and the work. Cross check the salaries that the ex-students are earning. Check the track record, history of the Institute, and the placement assistant provided by the same. Lastly, you should also check the fee structure of the concerned institution. Why to take the program? As a CNA has lots of tasks to perform and is the one who is directly associated with the patient, s/he must perform the duties properly. Before beginning the practice, it is essential to complete the program properly. Without a good program, a nursing-assistant may not be able to perform certain tasks properly and may even risk the life of their patient at the time of emergencies. There has been a drastic increase in the number of old age people and chronic illnesses among different age groups. So, to overcome that and assist them, a trained medical professional is required. The program has two major elements, practical and theoretical program. It is important to complete both the parts successfully in order to get the certificate. The duration of the course varies from 3 weeks of full time classes to 12 weeks of part time classes. It may vary from state to state. The course can be delivered via online classes too which will provide an aspirant with much flexibility and convenience. You will also learn about various methods to take care of babies, children, adults along with caring for people who are about to die, postmortem care, etc. Taking vital signs like height, weight, temperature and blood pressure. Practical sessions are the part of program itself and in these, your instructor will ask you to perform the newly learned techniques in actual health care settings and try them on real people. The cost of program – Usually between $500-$1500. Cost of taking the CNA exam- Around $115. Cost of certification- Around $50. The overall cost of CNA is usually between $1000-1500 mark. 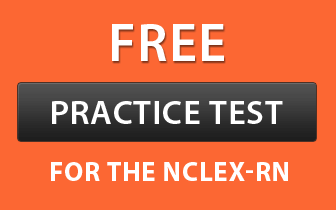 Once you have completed the program, you need to pass the test that is especially designed for nursing assistants. It is basically about testing the knowledge you have gained throughout the program schedule. Written exam consists of multiple choice questions (or MCQs) and you will get around 2 hours to solve them. In this section, you will be asked about the theoretical aspects, like the role of nursing assistant, nursing skills, psychosocial care skills, physical care skills, etc., basically, anything that you have learned throughout the program process. This is a complete practical section which will mainly deal with your physical strength as you will be asked to perform several physical duties. You will be given 5 tasks that you have to accomplish in front of an examiner. The exam will be conducted in a nursing home or a similar working setup. This is a wide section of examination as you will be asked to perform things such as: measuring blood pressure, moving a patient, use of restorative devices, etc., and you have to follow all the guidelines that a nursing assistant has to follow with minute details. Starting from the basic things like wearing non-skid shoes while the examination to complex things like knocking the patient’s door, putting the curtains on before doing anything and providing emergency support to a patient. You will be given marks on the basis of two things i.e. how you treat your patients, how much you know them and their condition and your communication skills. In addition to these, you must be aware of the state specific standards and regulations and the additional things required before taking the exam. A person must be at least 18 years of age. You must be able to read, write, understand, and communicate in English. High school education certificate is a must, and you have to deposit it. A duly attested formal application by the candidate must be submitted at the time of enrollment. You must have a clean record and must not have any findings of neglect against any nursing assistant registry or any trace of a criminal record. Your biometric data, generally fingerprints is required at the time of application. Ensure that you have an official transcript of your college curriculum as you have to deposit this to the licensing staff. In order to obtain a license, you have to follow a procedure mentioned below and it may take up-to 60 days. Fill the form provided by respective state nursing aid authority. Attach all the documents and photographs required and it must be duly attested. For the fee attach a demand draft in the name of the concerned authority. After submitting the above form, you will be provided with a program verification form which you have to send to the program school from where you completed the course which will further send it to the nursing aid registry. Now for security reasons and background check, you have to fill the fingerprint card and submit it to the local department of public safety. At last you have to register at your local nurse aid registry to get the certificate. Generally, the cost is included in the exam fee, if not, you have to pay it separately. You can also opt for specialized certification in areas such as geriatrics. These specializations will make you more marketable and eligible for higher pay. After completing the whole procedure, once the state licensing registry approves your application, you can get the certificate. Sometimes, if it is urgent for you to obtain the license, you can avail a temporary license after paying a processing fee and providing fingerprint card. Also, you are not allowed to call the state nursing authority to know the application status and you will be notified by the same through email or other official letter. Your certificate is valid for 24 months (or 2 years) from the date of issuance. You need to re-certify yourself in order to continue as a nursing assistant. For re-certification, you need to complete a course of minimum 48 hours. Many states require a minimum of 12 hours program every year, during the two-year time frame. In addition to this, you have to provide a valid proof of getting paid while working as a CNA during those two years. During the program period, you will learn about first aid techniques, patient rights, domestic violence, etc. If more than 5 years have passed after the expiration of your license, you have to appear for the program and the examination again. 1. The License holders will receive a reminder from state nursing board for the renewal when their license is about to expire. 2. For re-certification, you can obtain a list of acceptable program centers from the state board of nursing. Some states practice the reciprocity arrangements and do not compel the person to appear for the state examination again considering the certificate of the other state valid to pursue a career as a nursing assistant in a different state. In these states, you just have to submit your documents (educational, employment proof, etc.) for a background check. The whole process would be of 4-8 weeks and meanwhile, in some states, you can resume your work while in other you have to wait until the process is completed. The remaining states do not have such reciprocity arrangement and in order to get a job in that state, you have to qualify for the state authorized nurse aid examination and in some states, you even have to take some extra courses. Personal Care – Once you become a CNA, you have to take care of the hygiene and related activities of your patients. You may have to assist them to bathrooms, provide them shampoo, shave, bath, etc. You have to help the patient while exercising, walking, daily routines, shift them to stretcher or wheelchair, supplying them bed pans, helping bedridden patients with turning and moving, etc. Measuring Vital Signs – Timely, you have to measure the patient’s weight, height, quantify the urine, intake of food. Basically, everything that determines the stability of the patient. Making Beds – Another duty of a CNA is to organize beds for their patient, change their rooms, change the bedsheets and covers from time to time. Food and Meal – A CNA has to serve food to their patients, feed them if they are disabled, supply them water, take proper care of their nourishment and food requirements. A CNA also has to collect their food tray, once they have finished their food. Setting up the Medical Equipments and Inventory – Setting and managing equipments for a patient also come under the responsibilities of an NA. S/he has to organize oxygen tents, x-ray machines, irrigation bottles, etc. From the inventory, a CNA has to organize treatment trays, sterilize and supply dressing packs, gauge, etc. Documentation – After being a CNA, you have to maintain a complete record of the patient. All the logs, reports, forms, must be filled, processed and completed by a nursing assistant. Collect Specimens – Blood samples, urine specimens, sputum samples, etc. must also be collected and submitted by a CNA for lab tests. Managing Medications – A nursing-assistant sometimes has to look after some crucial tasks such as catheterizations, enemas, douches, irrigations, suppositories, and some adjunct care such as providing massages, applying ice packs, no sterile dressing, heat treatment, etc. Patient Related Tasks – Providing emotional support, answering their call light, answering their phone calls, managing their meeting with the visitors are also some of the major tasks that a nursing assistant must perform. Other Responsibilities – A CNA has lots of other responsibilities, s/he has to uphold the organization’s esteem, preserve the patient’s information, schedule appointments, follow the guidelines and procedure of the organization, submit reports to senior authorities, etc. Besides these responsibilities, a CNA must keep themselves updated with the job knowledge by reading professional publications and participating in professional organization and educational opportunities. Lastly, s/he must be prepared to take the challenges of the nursing industry confidently. CNAs are generally paid on an hourly basis rather than monthly or annually. The wages are therefore dependent on the place you are working at and the time you are devoting. Along with this, location and job availability also determines the salary of a nursing professional and mostly varies with states. According to BLS, the mean hourly wage of a medical assistant is about $12.36 while, mean annual wage is $25,710, for the year 2015. According to the U.S Bureau of Labor Statistics, the employment for CNA is expected to increase by 18 percent (much higher than the other healthcare profiles). The factors responsible for this immense growth includes the increased chronic illnesses, aging population, more people in nursing homes, etc. The responsibilities vary according to the environment of working. As a CNA in the hospital has an opportunity to work at a higher salary with a wide range of medical staff and multiple patients, a CNA at home has to look after a single person generally and has lower salary comparatively. Many health care positions that are similar to CNAs and even the job responsibilities are almost the same, yet they are slightly different. An aspirant can pursue a career in the following fields too. LPN The next level after CNA is an LPN or licensed practical nurse. The scope of responsibilities is wider than a CNA, and hence, the pay is a bit higher to them. An LPN is a member of high performance health care team and should learn topics such as medication administration, wound care, catheter insertion, and patient assessment. Occupational Therapy Assistant – An occupational therapy assistant works under the guidance of an occupational therapist. They have to look after patients of all age groups and they work directly with the patient to achieve the treatment goals. One must hold a two-year associate’s degree in order to be eligible for this post. Personal Care Aides – This job is similar to CNA but one does not need any high school diploma or equivalent degree nor do they require any program and certification to become a personal aide. The scope of responsibilities is not wide, and therefore, they are entitled to get low wages. Medical Assistant – Medical assistants also have lesser responsibilities than a CNA and their task is completely different. They have to work with medical professionals and physicians and are less associated with patient care as compared to a CNA. Psychiatric Aides – This position is similar to the CNA except the working environment. As the name suggests, they look after the mentally impaired or emotionally disturbed individuals. The responsibilities are similar to CNA, and the pay scale is also similar.